In this blog post, learn How to Fix “This PC Can’t Be Upgraded” issue when installing Windows 10 May 2019 Update. Microsoft postponed the release of Windows 10 upcoming version 1903 to May 2019. Although, interested users can download and install the latest version right now just by enrolling to Windows 10 Insider Program. You can check our previous blog post on How to Get Windows 10 May 2019 Update Version 1903. This PC can’t be upgraded to Windows 10. Although you are enrolled in the Windows Insider Program this device isn’t yet eligible for this build. In case, you made up so far, then chances are high that you’re also seeing the same error message when trying to upgrade your machine to the latest version. Fortunately, there’s a solution to a problem and it is pretty simple. Reddit user on this thread first reported the same update issue. Fortunately, OP manages to fix the problem just by uninstalling games shielded by anti-cheat software. So it seems like the issue is related to BattlEye and Anti-Cheat Software. Last Month, Brandon LeBlanc, Senior Program Manager on the WIP Team on confirmed on the Twitter that they have fixed anti-cheat software issue in Windows 10 version 18362 as gaming companies releasing individual fixes. But it seems like issue persists for some users. Some users suggested to uninstall anti-cheat software from the computer and then install Windows 10 May 2019 Update. After installing the latest version of Windows, you can reinstall Anti-cheat software or BattleEye. Also keep in mind that after installing Windows 10 May 2019 Update on your computer, if you try to play online games, then you might encounter issues like memory corruption and other. While on the other hand, another user on the same Reddit thread suggested that he’s receiving the same error because one of the driver or service is not compatible with the latest update. So try to find out what driver or service is causing the issue. Microsoft is planning to rollout Windows 10 May 2019 Update version 18362 in the end of the May. So all we hope is that, the company will fix all the issues before releasing the stable version of Windows 10. Find this blog post handy? 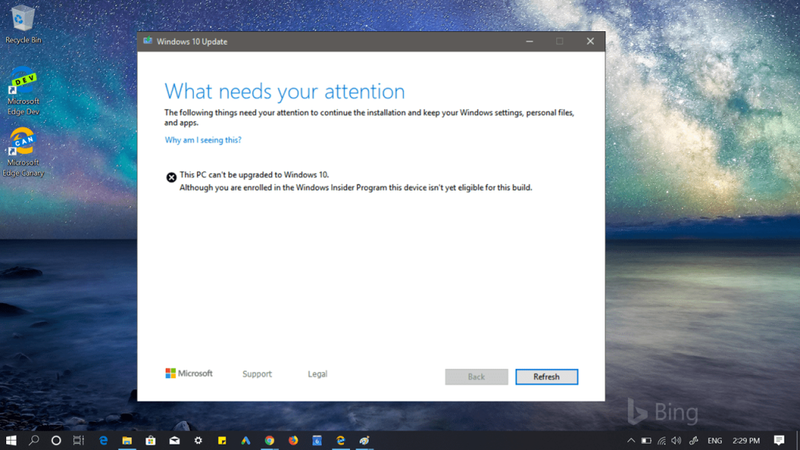 Do you experiencing other issues after installing Windows 10 2019 Update? Let us know, we will try to help you.